Chocolate mousse. 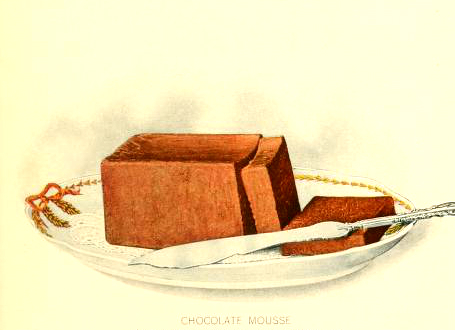 Curated from Lowney’s cookbook, published in 1908. Originally archived by the library of congress.